Sponsored by GIS Development Pvt. 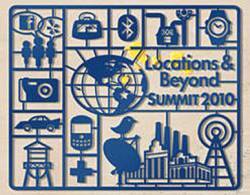 Ltd, Location Summit 2.0 is a platform for stakeholders in the location-based services community in India and its neighborhood to meet, network, learn, share, and collaborate and help facilitate the growth of the industry. The organizers expect about 300 delegates representing different segments of LBS community and end users. It will take place at Hyderabad Convention Centre in conjunction with Map World Forum (www.mapworldforum.org).